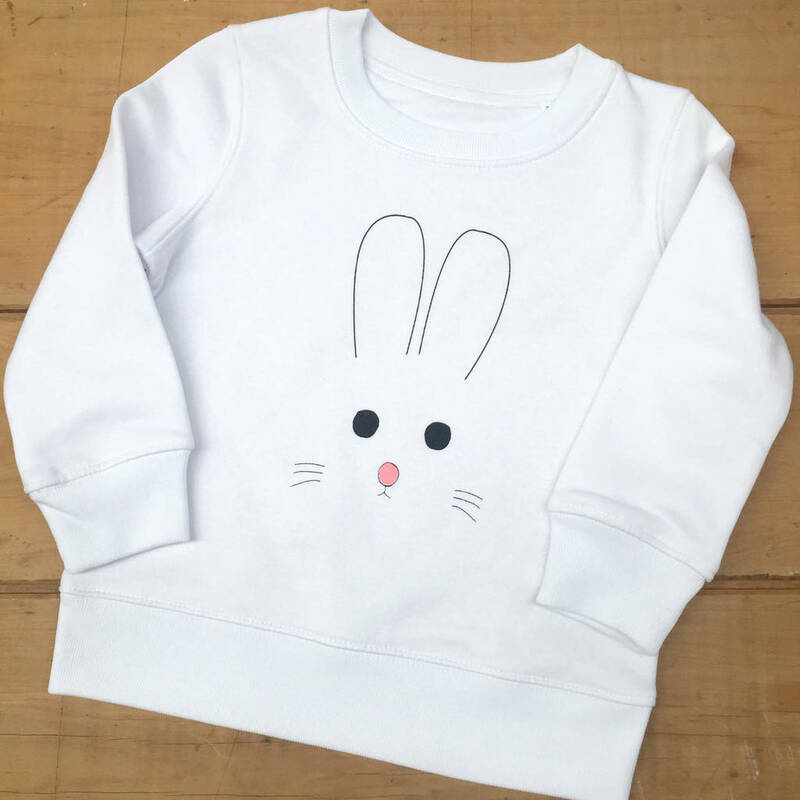 A super cute kids bunny face sweatshirt. A superb quality kids Easter top that will last long after Spring. 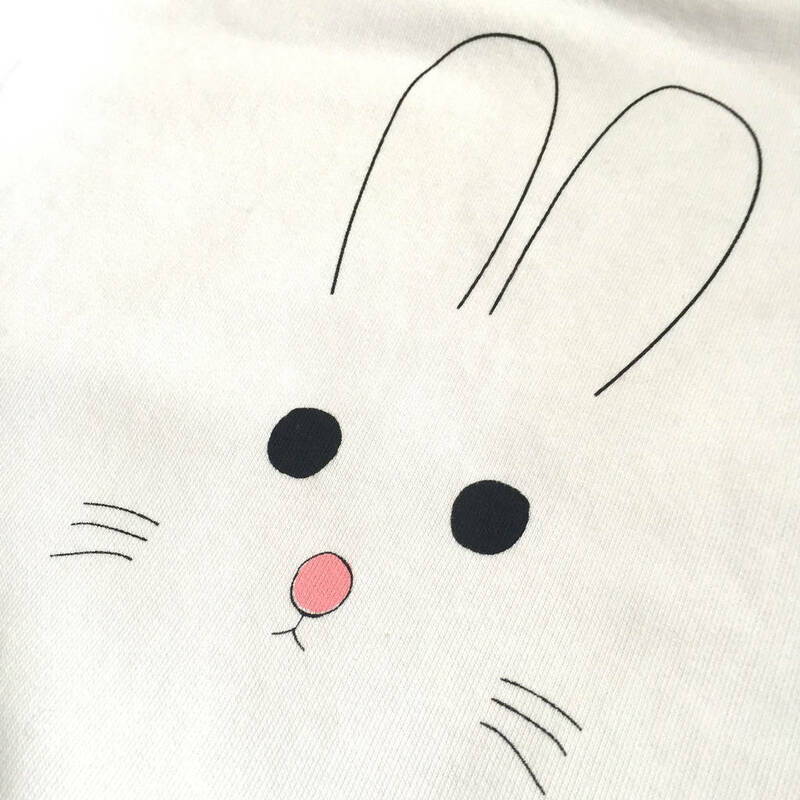 This fun rabbit design on a sweatshirt is available in white with hand screenprinted bunny face on the front using waterbased kid friendly inks. Made from snug organic cotton, this is the perfect Spring pull on top and makes a great alternative Easter present and lovely to wear for an Easter egg hunt. A fabulous quality sweatshirt jumper, made ethically using organic cotton and printed to the highest standards to withstand lots of wash and wear. This is a gift sweatshirt that is certain to last long after Easter. Team with our personalised bunny bag to make a fantastic Easter gift set. 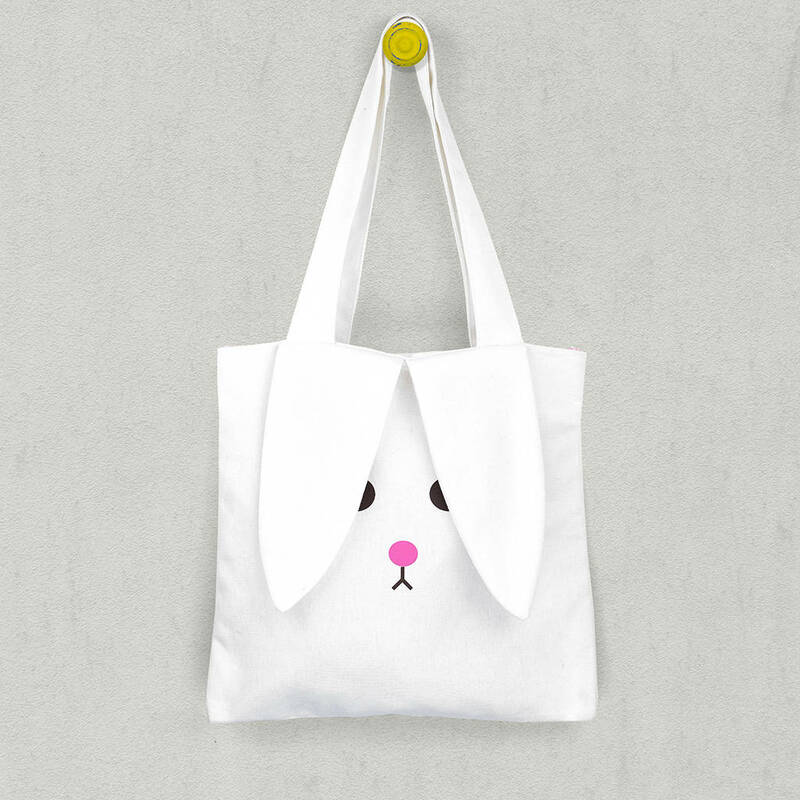 If selecting the additonal bunny bag, add your gift message and we will add a tag to the bag handle. Single jersey t-shirt version also avaiable. 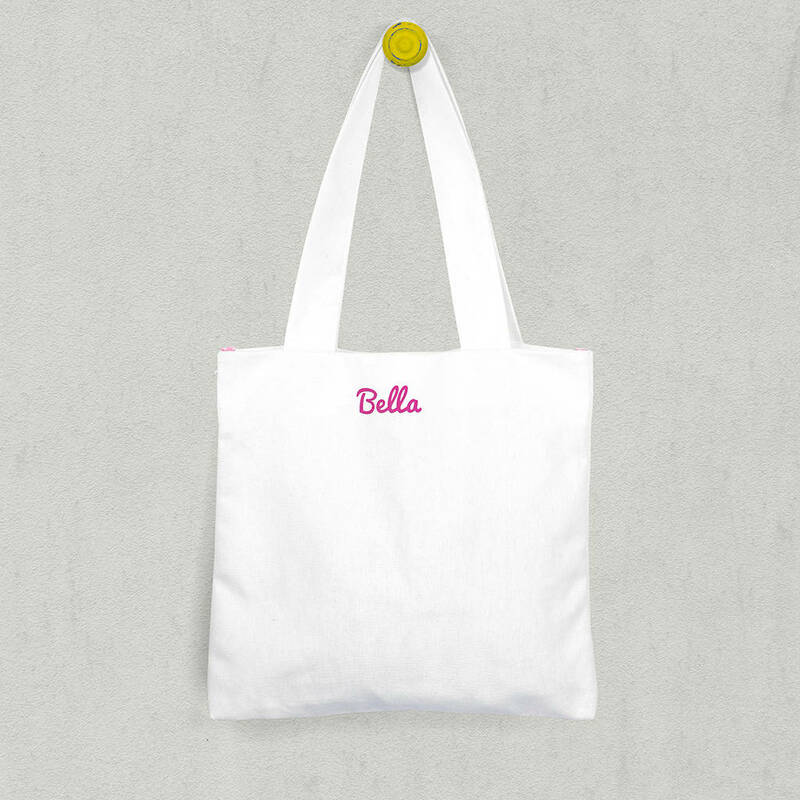 You can also purchase our personalised bunny bag as a single item, please see our full sgt.smith collection. 85% organic cotton, 15% polyester. Manufactured ethically, hand screen-printed in our studio in Yorkshire. We screen print our designs to ensure that our garments wash extremely well (check out our feedback). We advise machine washing up to 40 degrees celsius and ironing on the reverse of the print. We do not recommend tumble drying as it may shorten the life of the garment over time but if required, tumble dry with care. This product is dispatched to you by sgt.smith.